A man bets all he has on a horserace to pay for an expensive operation for his dog. A young refugee wants to box her way straight off the boat to the top of the sport. Old friends talk all night after meeting up by chance. She imagines their future together...Stories about people who have lost out in life and in love, and about their hopes for one really big win, the chance to make something of their lives. In silent apartments, desolate warehouses, prisons and down by the river, Meyer strikes the tone of our harsh times, and finds the grace notes, the bright lights shining in the dark. Clemens Meyer is one of Germany's most exciting writers. Born in 1977 in what was then East Germany, he worked as a security guard, forklift driver and construction worker while completing his first novel. 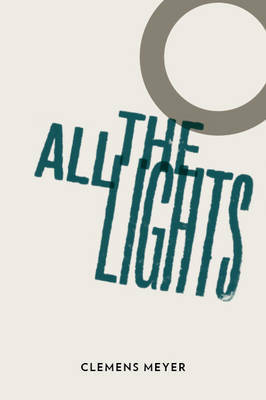 All the Lights is his acclaimed second book. It has sold over 40,000 copies in German and won the prestigious Leipzig Book Fair Prize in 2008.